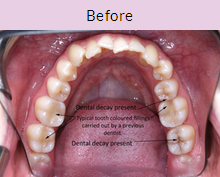 White or tooth coloured composite fillings are an ideal solution for teeth that have suffered decay. 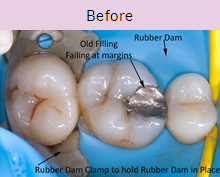 They can also be used to replace old, metal amalgam fillings, offering not just an aesthetically-pleasing solution, but also better preserving the structure of your tooth. 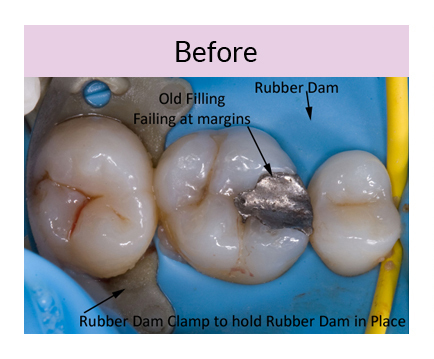 Most patients need a filling at some point in their life, and traditional metal amalgam fillings are very obvious in the mouth. What a lot of patients don’t know is that they also place stresses within your tooth when you chew and can cause cracking. There is no physical bond to your tooth, which means there is no seal around the filling, enabling bacteria to penetrate the space between the filling and the tooth. This means decay is likely to recur, causing further damage that is not always easy to spot. 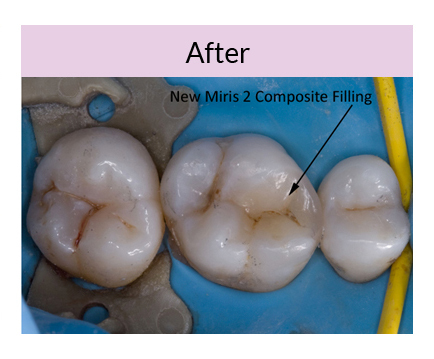 White composite fillings are different. So long as they are placed correctly, they bond extremely well to your existing tooth structure, creating an excellent seal and preventing bacteria from getting between the filling and the tooth. This bond also reinforces your tooth, creating less stress when chewing. 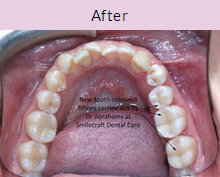 Dr Bradley Abrahams and Dr Caroline king very much enjoy helping patients achieve a strong, beautiful smile with the aid of white composite fillings. Having attended courses with one of the leaders in this field (Dr Didier Dietschi) both in the UK and at his clinic in Switzerland we are very enthusiastic and we take a genuine pride in our work. We spend the time required on each and every filling to match it as closely as possible to your natural tooth colour and contour. 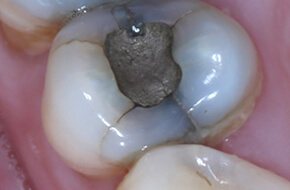 Time – White fillings are technique-sensitive and should not be rushed. Rushed fillings can lead to tooth sensitivity, staining and decay. 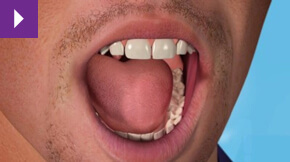 Isolation – We use a rubber dam to properly isolate the tooth being filled, keeping the tongue, cheek and saliva away from the area being worked on to avoid contamination. 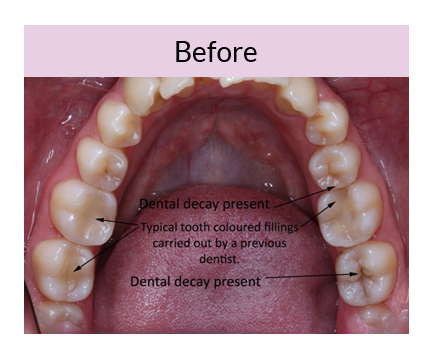 Shaping – Tooth coloured fillings should not look flat, but should have the anatomy of a natural tooth to help with biting and chewing food. Correct bite – We need to make sure your teeth fit together properly after a filling. Failing to do this can cause discomfort and pain. 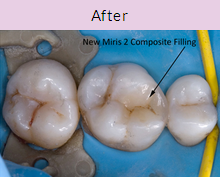 Your composite fillings will be matched very closely to the natural colour of your teeth. 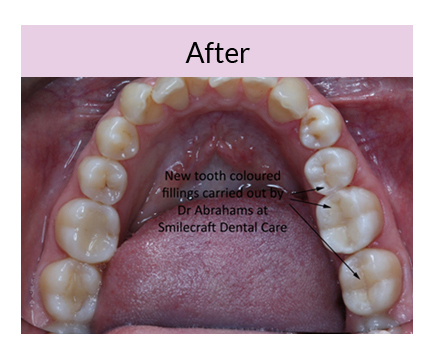 If you are interested in tooth coloured fillings, contact the practice today for a consultation.